The beauty of spending a day on the slopes is that even though you’re on top of a mountain in the middle of the rugged wilderness, you’re still in the midst of civilization. This means that if you forget to pack a snack, or lip balm—or even your goggles—most items can either be bought or borrowed. Still, the goal is to arrive with everything you need or may need throughout the day. Below find a thorough packing checklist of the necessary provisions to ensure that your day on the slopes is spent the way you intended—making beautiful, glorious turns. Keep in mind that this list includes the items you’ll bring with you in a bag and excludes the obvious stuff you’re already wearing or carrying (skis/board, boots, poles, helmet, goggles, jacket, pants, base layers, neck gator, gloves, etc.). 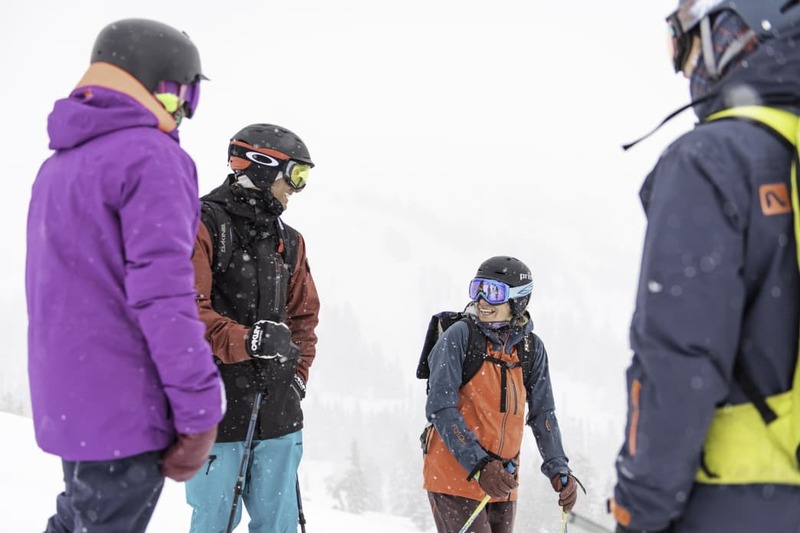 More specifically, you’ll want a small- to medium-sized, lightweight, waterproof backpack, especially if you plan to wear it all day on the slopes. If this is the case, make sure that you are indeed comfortable skiing or riding with a backpack. It’s second nature to some, but for others, it takes some time to get used to. 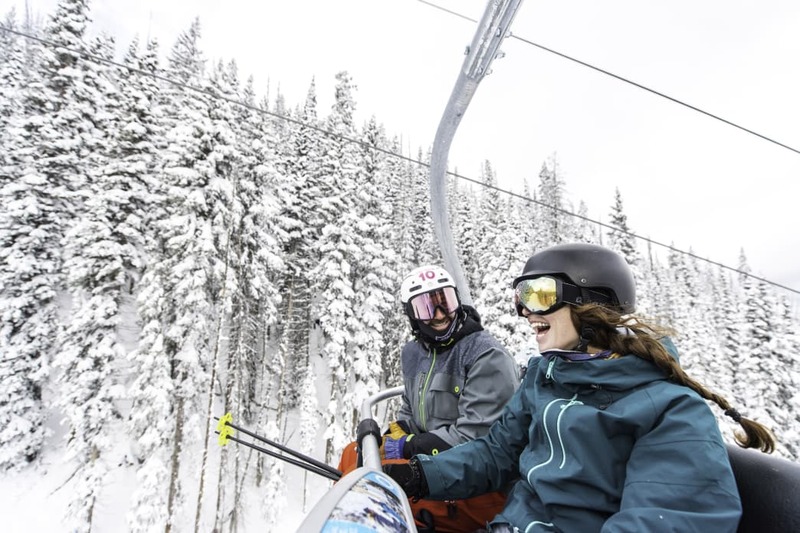 If you do wear a backpack, make sure you can easily take it off—or that it’s thin enough to not interfere with your seat position when you load and ride a chairlift. A chest strap makes the chairlift removal smooth and comfortable, but a waist strap can get in the way. If you don’t want to wear the backpack, it will easily fit in a base-area locker. Tip: Make sure there is a bit of extra space in your bag after you finish packing, just in case you need to shed a layer. The temperature at high elevation can fluctuate drastically from morning to afternoon and from the base area to the summit, not to mention the fluctuations that can occur in the case of a storm blowing in. That’s why bringing an extra, lightweight, quick-drying mid-layer is beneficial. You never know when you might need to bundle up or remove a layer when the sun shines brightly all day. You should already be wearing a neck gaiter (these can honestly become your most prized and comfortable accessory on a chilly day). If it does start snowing during, there’s a good chance you’ll appreciate a dry one to swap into. Whether your kids need a regular blood sugar boost or you’re having such a stellar day you simply can’t step away for lunch, having a few bites on hand is vital. Granola bars, soft fruit snacks, trail mix, and peanut butter and jelly (even if it gets smashed) are winning cuisine choices for the lift ride. Many of us forget to hydrate, especially on cold winter days, not realizing that it’s essential to maintain energy levels and avoid altitude-related wooziness. If your backpack has a bladder, great—fill it halfway up to keep it lighter. Make sure you have insulation on the tube to prevent freezing. It can also weigh down your pack and water and other beverages are almost always available in any on-mountain lodge. It’s sometimes a rude surprise how quickly a fully juiced phone can drain in cold weather. Many on-mountain lodges are equipped with charging stations, but to ensure you’ve got the battery you need to snap photos and coordinate lunch and après meet-ups, bring a (charged) lightweight charger and cable. It can also come in handy if you are using a GoPro or handheld camera, each of which can race through batteries quickly when you’re capturing sweet footage. Use a waterproof phone case. Remember, snow is made of frozen water. Your phone may get wet. These can make your day. Once your fingers get cold, they’re tough to warm up out in the elements. It’s amazing how toasty they get in a couple minutes if you ball up your fist inside your glove while holding one of these disposable goodies. The sun is more potent at high elevations, and it’s even stronger when reflected off of the snow. 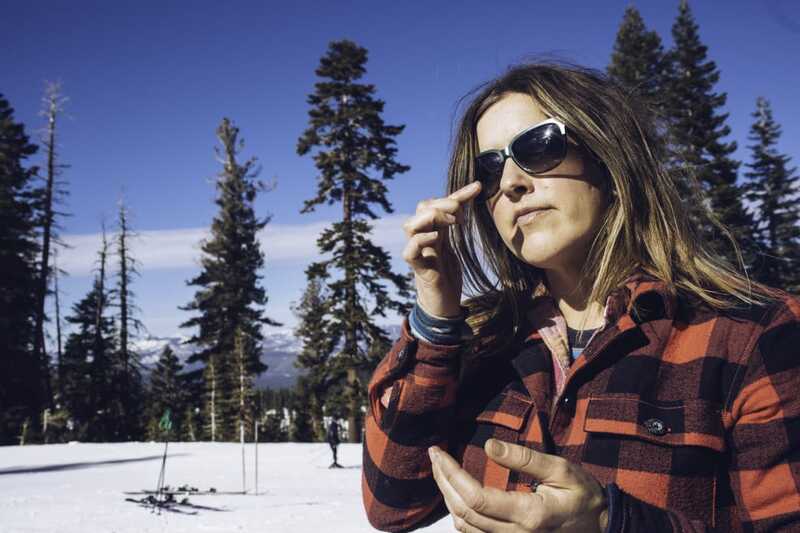 Even on seemingly cloudy days, sunburns are likely, so be sure to put sunscreen on your face before you hit the slopes and re-apply it throughout the day. A small tube should suffice. Not only can your lips get sunburned, but they can chafe easily in the mountains. A moisturizing lip balm with at least 15 SPF is ideal. Nobody wants snot on their mittens. 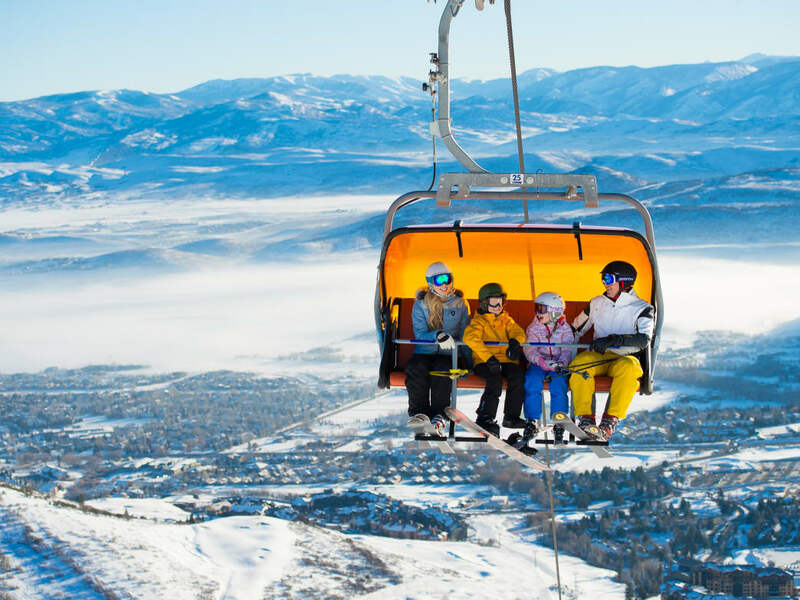 If you follow these simple packing tips, you’re sure to have a great time on the slopes. What do you think of these tips? Have any more? Let us know in the comments below. This list is fine, but too much time is spent on things like this and not on dressing properly to stay warm. It took me many years to figure out the “staying warm” part, but relatively little to figure out the “what to bring” part. So, here are some suggestions. 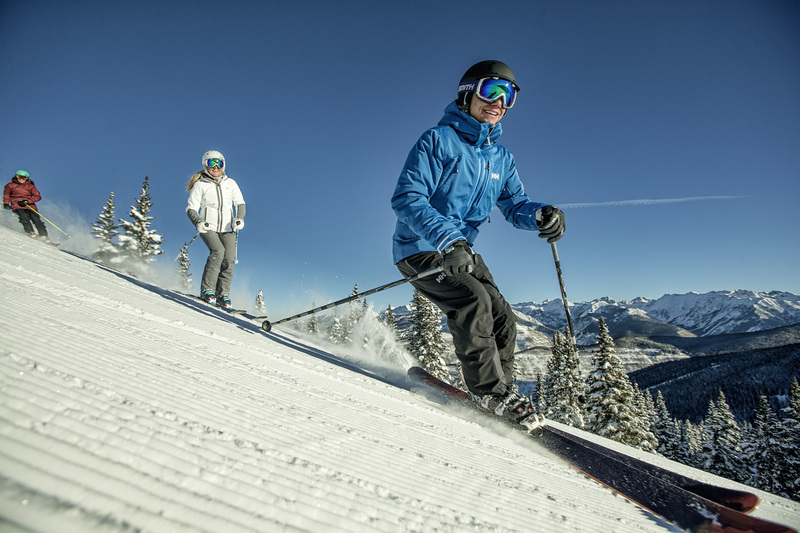 If you are always cold or frozen when skiing, its likely because you’re overdressing. Skiing is exercise. You sweat when you exercise. Wear too much, or the wrong things and you will sweat more and your clothes will absorb the moisture, which keeps you wet, and dampness in the cold will help freeze you. So, if you’re always cold, try wearing less! Stay COOL to stay WARM. Seriously, I used to freeze, and yet by the end of the day my coat was sopping wet from perspiration. Now I wear shorts, and only shorts, under my lightly insulated ski pants. Up top I wear a light base layer, a light mid layer sweater, and a shell. Most days out I wear midweight fleece gloves with windstopper. I am warmer now, and less wet by the end of day, than ever before. So, the right clothes are sooo important. Even on the coldest days I wear the same things, except I may wear a little heavier mid layer sweater. Next, helmet. If you dont wear one, you’re an idiot! Forget safety though, they’re simply more comfortable, and warmer, than any hat you can wear. And don’t forget your goggles! I was forever searching for great goggles. Only problem was that I was always being cheap! 5 years ago I finally broke down and shelled out money for a quality pair, with exchangable lenses, held in place with rare earth magnets. I invested in 3 additional lenses aside from the 2 that it came with. Besides learning how to dress to stay warm, this might have been the one purchase that increased my skiing enjoyment more than anything else! They were more comfortable, didn’t fog up as easily, the ootics were better allowing me to see my surroundings more clearly, and I can adjust my lenses for my conditions! On variable days I will often have an extra lense with me. One for sun, and one for low light. So forget packing a backpack with enoigh to camp out with, focus on the things that will make you more comfortable on the mountain. Unless skiing backcountry or regularly skiing out of bounds. Then you need to be preparred!